Teri Anders grew up in Concord and graduated from Hueytown High School in 1990. She then graduated from Samford University Pharmacy School in 1995. 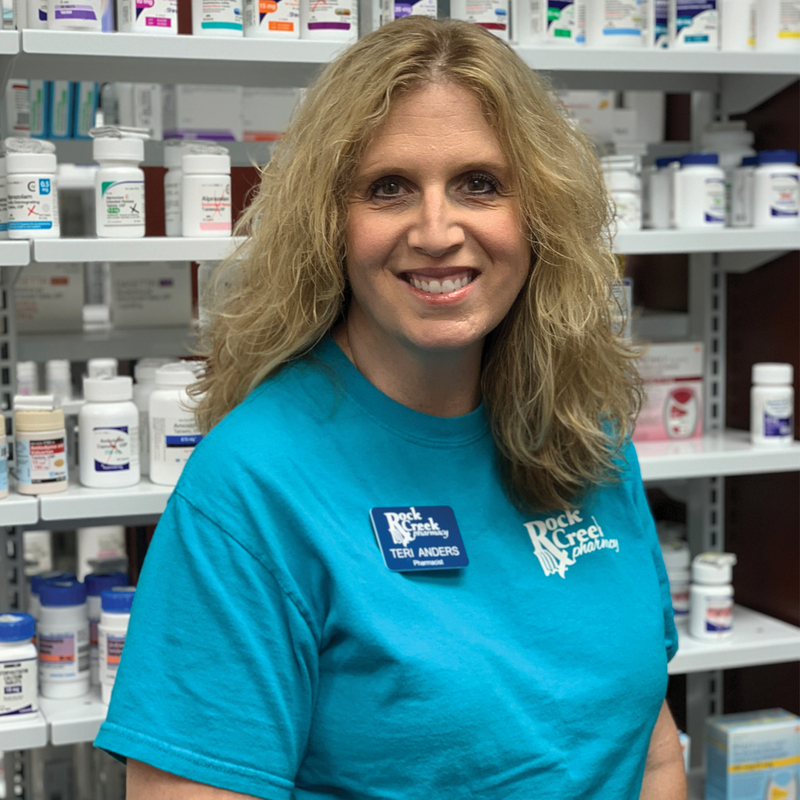 Teri worked at Food World Pharmacy in Hueytown for 10 years before opening Rock Creek Pharmacy in October of 2005. She attends Church of the Highlands and is actively involved in the Concord Community Association and the Hueytown High School Alumni Association. Community is very important to her and she tries to give back to her community with volunteering and supporting organizations locally. She has been married to her husband, Mark, for 9 years and has two children, Haley and Samantha, in college. Barbara Felder grew up in Concord and graduated from Hueytown High School in 1988. She then graduated from Samford University Pharmacy School in 1993. Barb worked at Food World in Bessemer and then in Hueytown for a total of 15 years. 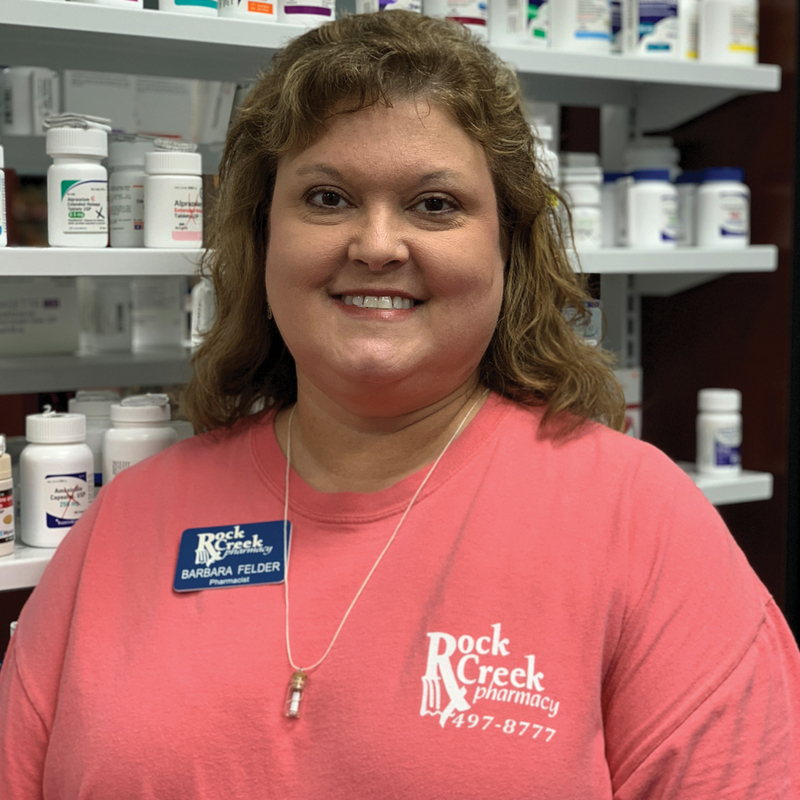 She then started working here at Rock Creek Pharmacy when they opened in October of 2005. She attends Concord Baptist Church, where she is also the pianist. Barbara lives locally in the community and is married with two children in college. Ronald “Cotton” McCay is originally from Bradford, AL and graduated from Minor High School in 1967. He attended Jacksonville State on a football scholarship. He then transferred to Auburn University and graduated in 1973 with a Bachelors Degree in Pharmacy. He worked at Big B until 1975 and then opened his own pharmacy “Big C Drugs” in Midfield in 1975. He sold his pharmacy to CVS upon retirement in 2005. He was also the proud owner and operator of “The Meadows Golf Course” from 1993-2009. 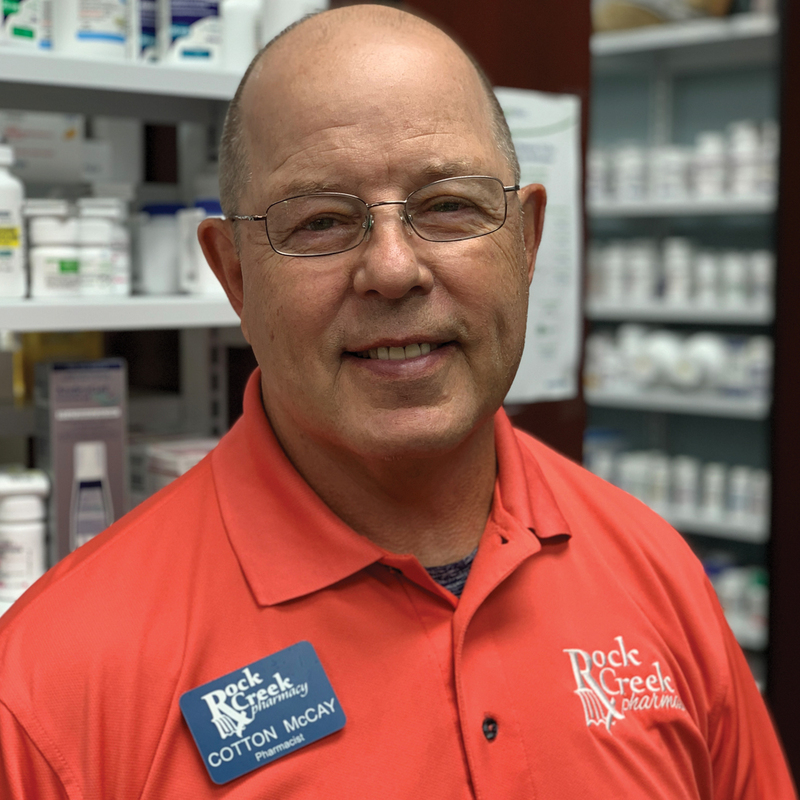 He was a pharmacist for CVS and Payless Drugs before joining us in the Rock Creek Pharmacy family in 2014. Cotton attends Church of the Highlands, Fultondale campus, and has two grown daughters and two grandchildren.